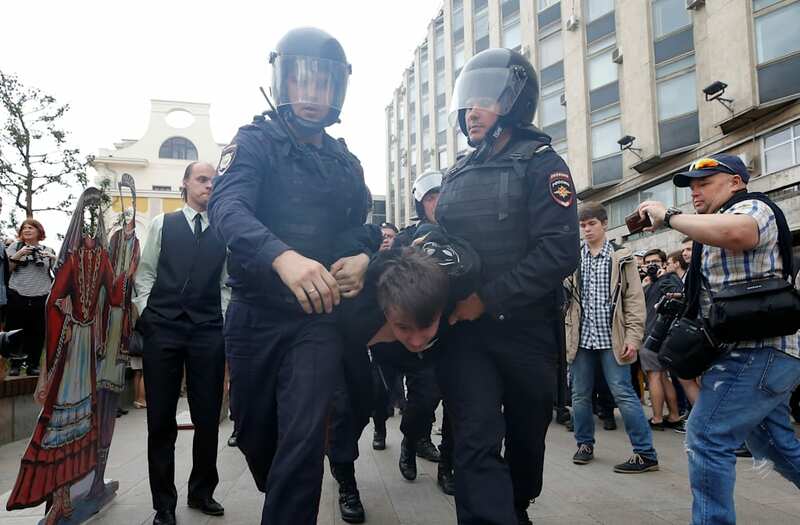 MOSCOW, June 12 (Reuters) - Baton-wielding riot police broke up an anti-government demonstration in Moscow on Monday and arrested scores of protesters after detaining Russian opposition leader Alexei Navalny as he tried to leave his home. Several thousand protesters, including many young people, crowded central Moscow at Navalny's behest chanting "Russia without Putin" and "Russia will be free." Navalny, who is mounting a long-shot bid to unseat Putin in a presidential election next year, had called for mass protests in Moscow and other cities against what he says is a corrupt system of rule overseen by Russian President Vladimir Putin. The Kremlin has repeatedly dismissed those allegations and accused Navalny of trying irresponsibly to whip up unrest. "Corruption is stealing our future," read one placard next to an image of a yellow duck, a reference to a duck house which Navalny said Prime Minister Dmitry Medvedev owned on a vast country estate, an allegation Medvedev says is "nonsense." 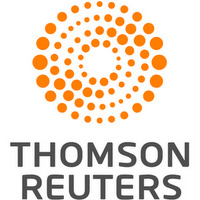 Reuters witnesses saw more than 100 people arrested in central Moscow. Dozens of protesters were also detained at a similar demonstration in St Petersburg, a Reuters witness said. The scale of the protests suggests Navalny has built on the success of a similar event in March, in which thousands took to the streets across Russia. Those protests were the largest since a wave of anti-Kremlin demonstrations in 2012 and resulted in more than 1,000 arrests, putting rare domestic pressure on Putin, who is expected to run for and win re-election next year. Authorities in Moscow said Monday's protest was illegal and drafted in hundreds of riot police who moved to detain people they regarded as trouble makers, loading them onto buses to be charged. "I want to protest against corruption and the fact that the authorities are not fighting it," said Alexander, an 18-year-old student brandishing the Russian flag. Dima, an 18-year-old florist, said he wanted Prime Minister Medvedev to return what he said were the politician's ill-gotten gains. Medvedev, a close Putin ally, flatly denies wrongdoing. "I'm not afraid if I get detained," Dima said. Moscow authorities had initially authorized a venue for the protest away from the city center. But Navalny said on Sunday the authorities had pressured firms into refusing to supply him and his allies with sound and video equipment. For that reason, he said he was unilaterally switching the venue to Tverskaya Street, Moscow's main avenue near the Kremlin. The General Prosecutor's Office had warned that a protest there would be illegal. The area of Tsverskaya Street near where Navalny's supporters congregated was hosting an officially-organized festival, with actors re-enacting periods of Russian history. At one point, protesters shouting anti-Kremlin slogans mingled with people in historical costumes. Navalny's wife, Yulia, said he had been detained as he tried to leave their home. Reuters witnesses saw a police car leaving Navalny's apartment compound at high speed, followed a few minutes later by a minibus carrying about 10 policemen. Electricity in his office was cut at around the same time as he was detained, briefly bringing down a live feed of nationwide protests, Navalny's spokeswoman said. A police spokesman told Russian news agencies that Navalny was accused of violating the law on organizing public meetings and of disobeying a police officer. His case would be passed to a court for a decision, the spokesman said. Navalny was fined and jailed for 15 days for his role in the earlier March protests. For now, polls suggest Navalny has scant chance of unseating Putin, who enjoys high ratings. It is unclear too if the Kremlin will even let Navalny run for the presidency. But the 41-year-old lawyer turned political street campaigner hopes anger over corruption may boost his support. A video he made accusing Medvedev, a Putin ally, of living far beyond his means has garnered over 22 million online views to date. Navalny, who had a green liquid thrown in his face in April, robbing him of some of his sight, said hundreds of people had also attended demonstrations in Russia's Far East on Monday morning.